Upcycling The Plastic Waste Dilemma by Joseph Stodgel. Originally printed in the Santa Fe New Mexican and Santa Fe Reporter for the April, 2015 Earth Day insert. Since its invention and widespread production, plastic has enabled huge leaps in technological and industrial innovation and has in no small part ushered in the modern world as we know it. At the same time, plastic has become a massive and widespread environmental and health problem. Plastic, as a valuable piece of the human technological cycle, has for the most part leaked into biological cycles. 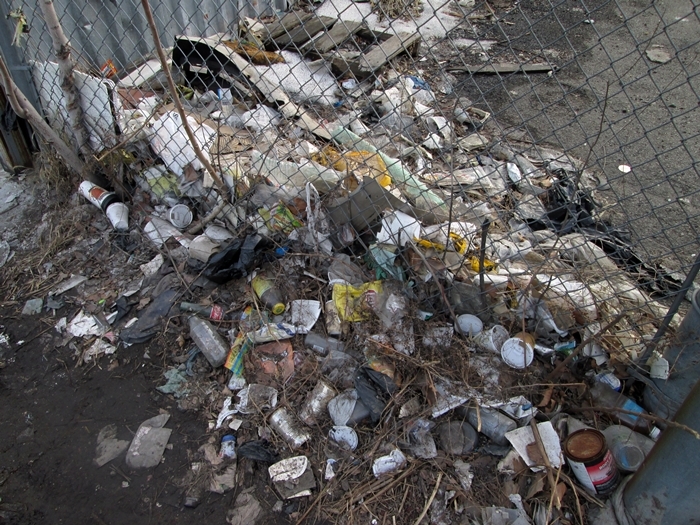 In the ecosystems of the world, plastic is a hazardous material that harbors environmental toxins. In the light of the sun, and the salt of the ocean, plastic breaks apart slowly into microscopic particles that are all the more toxic due to their easy ingestion. Plastic of all kinds disrupts endocrine function and mimics estrogen, and thus holds the potential to wreak widespread reproductive havoc on biological systems. To put it simply, plastic does not belong in the biosphere, and it is imperative that it is kept within human technological cycles. What can be done to accomplish this? First and foremost, products must be designed to be easily integrated back into either biological or technological cycles. Secondly, businesses of all kinds that produce or sell plastic components and packaging must take responsibility for and encourage the proper return and reuse / upcycling of their plastics. Thirdly, towns and communities must set up simple initiatives to responsibly deal with plastic waste in a local context. This brings us to the difference between downcycling and upcycling. We have been taught to believe that recycling is the best thing that we can do with plastic waste, but what really happens when a plastic bottle is “recycled”? It is shipped hundreds if not thousands of miles around the world, broken down and processed in a number of factories to become a product of lesser value and range of use, and then again is shipped hundreds if not thousands of miles to be sold again. This is downcycling – it takes materials of one value and downgrades them at the expense of the environment. Upcycling, on the other hand, takes materials of one value and upgrades them for the benefit of society and the protection of the biosphere. 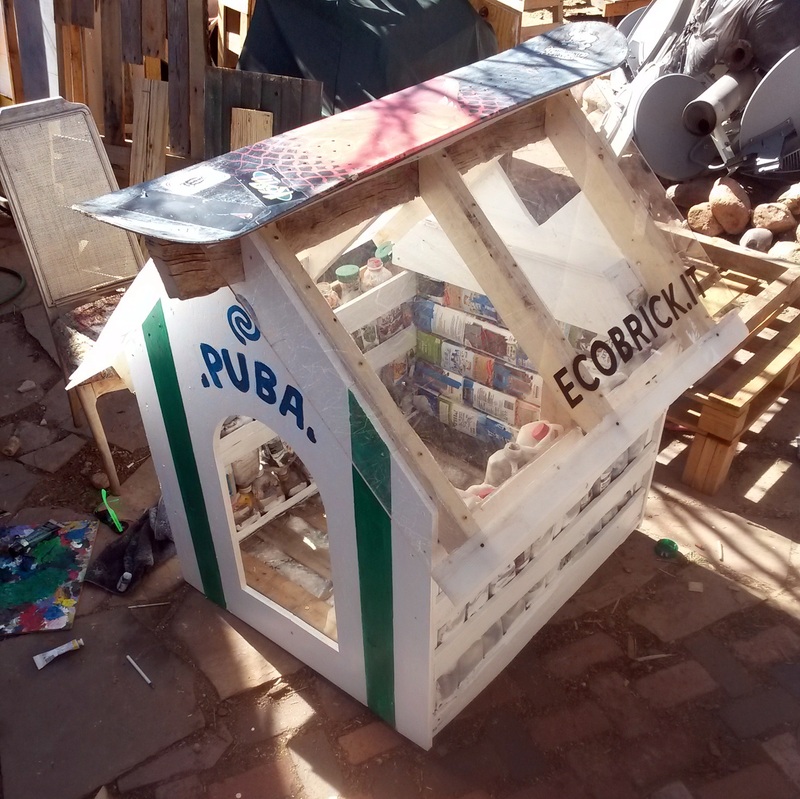 A simple example of this is an ecobrick – a plastic bottle used not only to contain and compress common plastic waste, but to build creative structures as well. In Guatemala, where the practice of making and building with ecobricks first took hold, upwards of 200 structures (most of them schools) have been built using these upcycled plastic vessels stuffed with “trash”. Choose intelligent, holistic design, demand extended corporate responsibility, and start upcycling your plastic waste today.